Sweet Treats - Whether it is a thank you, a thinking of you, or just an I love you - This whimsical package of Sweet Treats will bring a smile to anyone's face. Birthday Bits - This bag of Birthday Bits will be sure to make the Birthday Boy or Gal have a great day. Thankful Things - Show you are thankful. Happy Candiversary - Perfect for any anniversary. 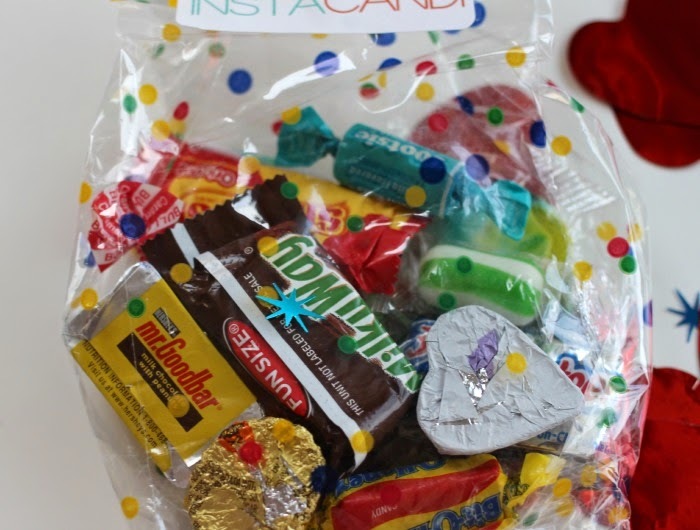 I Heart You - All the candy in this bag sends a delicious message to your sweet heart. Sorry Sweets - Say you are sorry with candy. Congrats Candi - When congratulations are in order. Get Well Goodies - Make someone feel better. Mindful Mix - This bag of healthy goodies is sure to please! 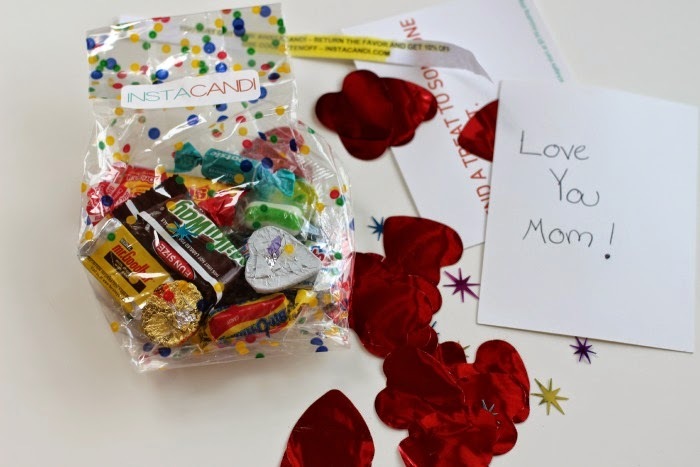 Mommy Morsels - Show mom you care with this tasty goodie bag filled with candy she will never forget. Candi For Business - INSTACANDI for BUSINESS is the coolest way to show that you care about your customers. They really have a theme that covers it all. Once you pick the theme you want, you put the shipping and billing information and away they send the bag. I love how they added confetti and a hand written note of your choosing. Head on over to INSTACANDI to send someone you love a sweet treat.